thank you so much for choosing me as one of your top 5 to the tag challenges! (my second time) more power ALLSORTS! great cards and projects by the DT team! 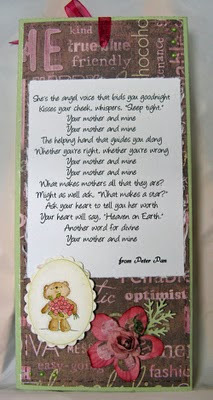 A very fitting challenge as I'm up to my eyes in Mother's Day cards. Some great makes from the design team - love Jules' card. Love the challenge this week......the DT designs are just fab! The DTs creations are soooo beautiful!!! Such adorable creations for our mummies, love the variety from the dt! My mom loves fairies, so hopefully she'll love this card!! 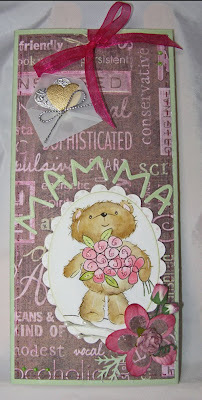 Thanks for the inspiration for a mom card!! Super fun challenge! Love all the creations!! !